Welcome to the wonderful world of consulting. It's a world I know well, having lived it for more than 30 years. What does a consultant do? Well I'm glad you asked. Consultants are brought into a project for their expertise, to speed the project along, and to share their knowledge with the client. Consultants are sought more for their wisdom than for their advice. I try to help the client come to wise decisions rather than telling them what they should do - nobody likes to be told what they should do. I get to travel, meet new people, work in various industries, and feel the satisfaction of the team having done our job well. 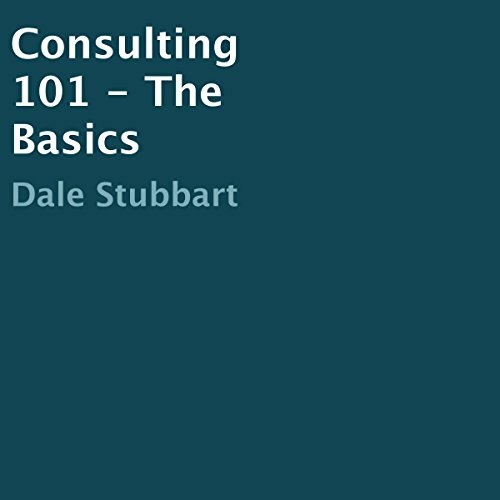 This book is about the basics of consulting. I wrote it to help those who are new at consulting, so they don't feel like they're flailing around on their own, not sure what they're supposed to do, act, or what's available to them as a consultant. I almost never write reviews but I had to review this title in the hope that it stops you from buying this. this isn't consulting 101 this is common sense 101. highlights from chapter 3 include, sometimes you get a security lanyard, sometimes you have to buy your own. chapter 4 brings highlights such as which airline has customers that like to talk more or less in the USA. what an absolute joke of a book.